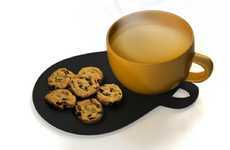 Sipping tea on its own is certainly pleasant enough, but many of us like to take the opportunity to treat ourselves to a little snack while we drink our boiled brew. 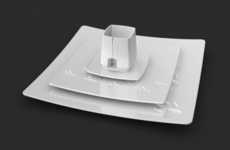 The Tea & Space collection comprises an elongated dish with sufficient area for stacking a small plate next to the teacup. 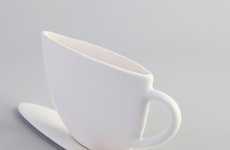 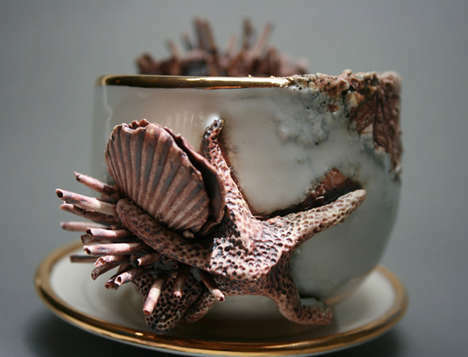 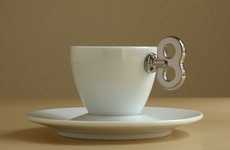 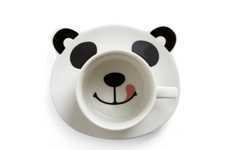 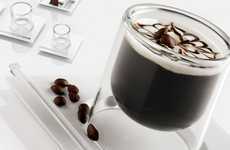 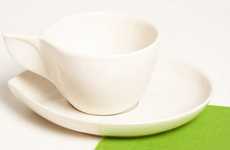 The cup and saucer can accommodate a full beverage, a stirring spoon and two tiny dishes actually. 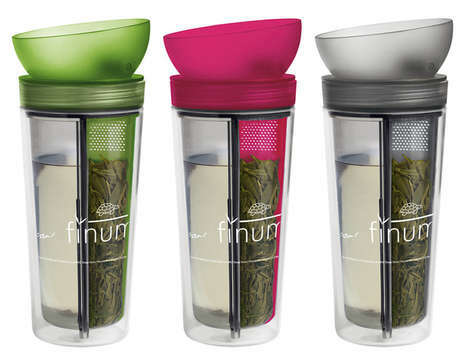 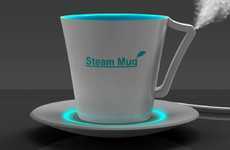 One sits on the end opposite to the mug and the other can be positioned as a lid on top of your tea, insulating the heat of your drink and increasing the number of items that you can juggle in one hand. 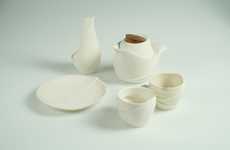 Daniel Jo's design allows you to prepare your mini feast in the kitchen and easily carry it all on the Tea & Space into the other room.